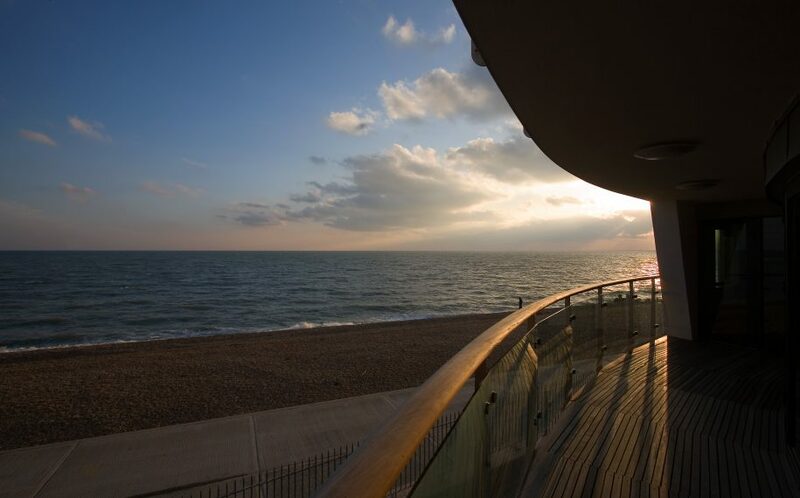 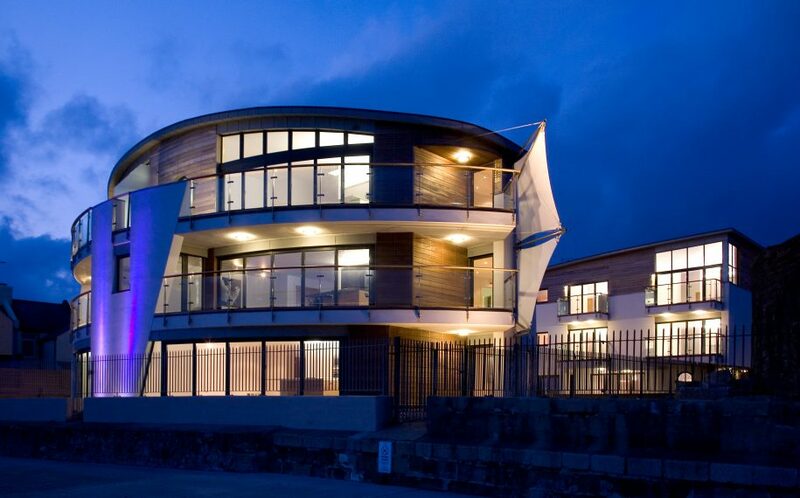 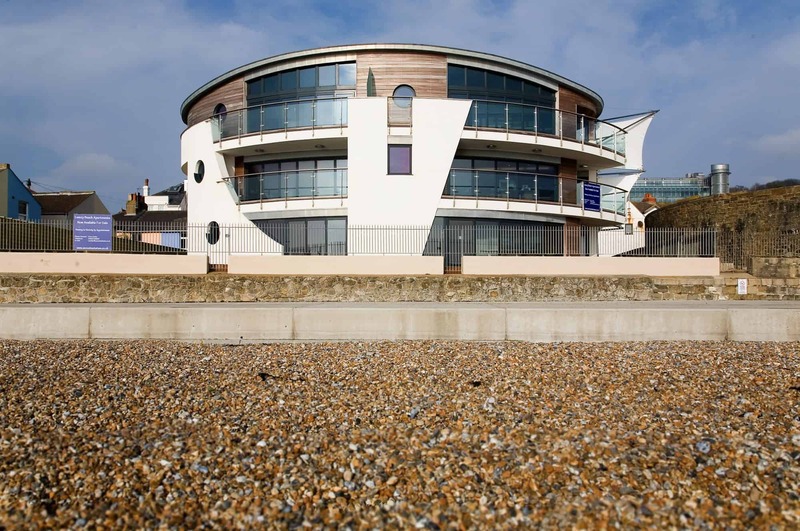 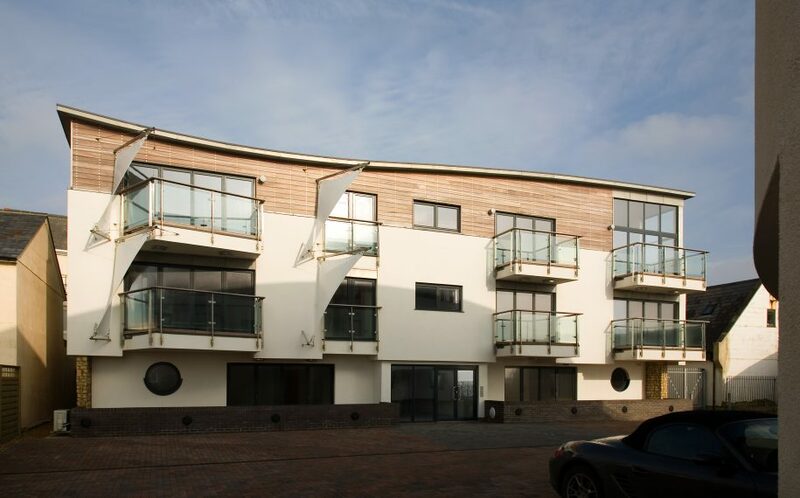 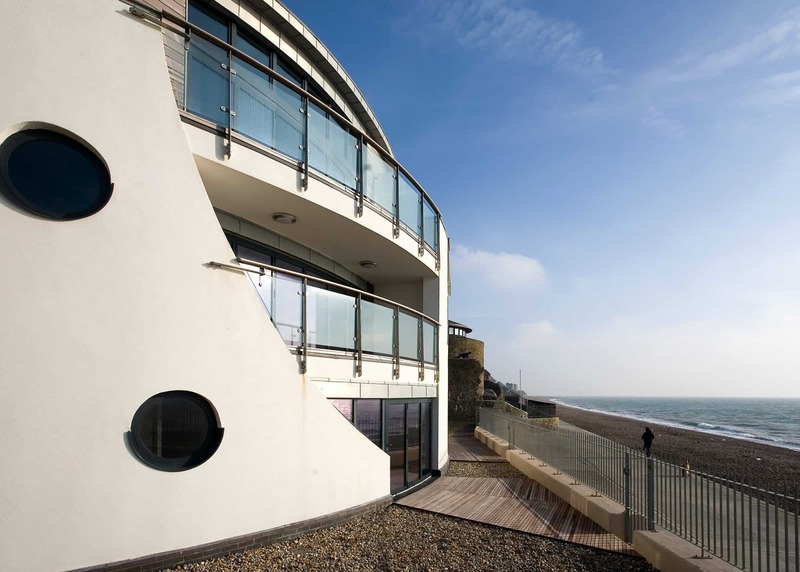 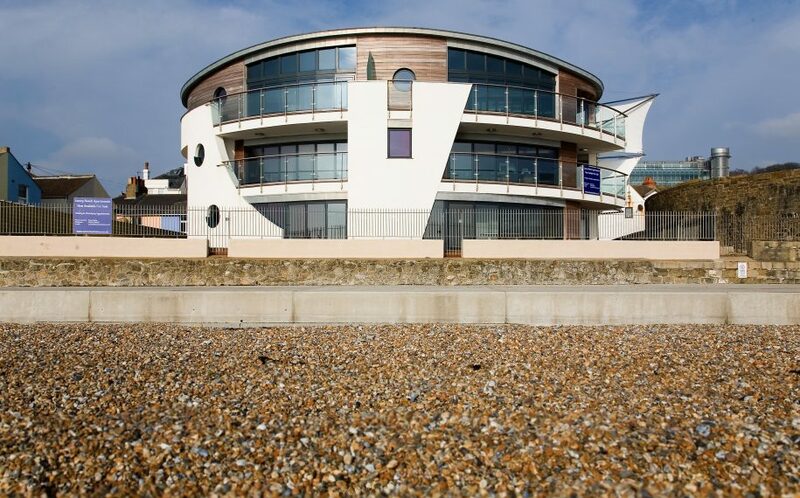 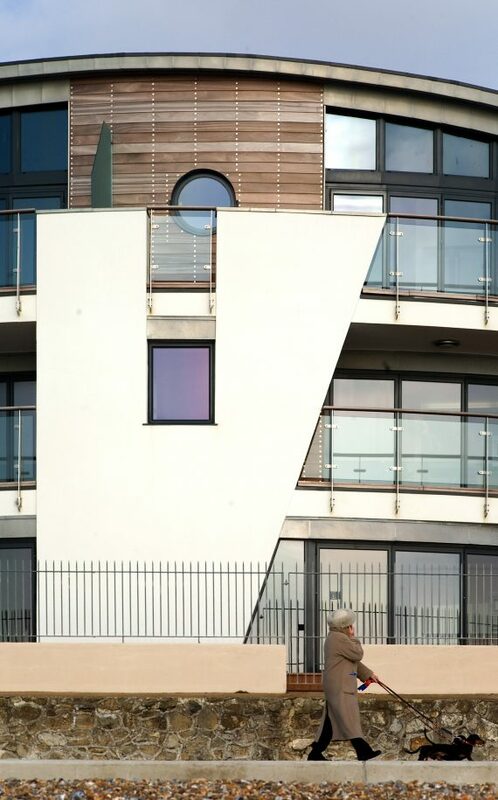 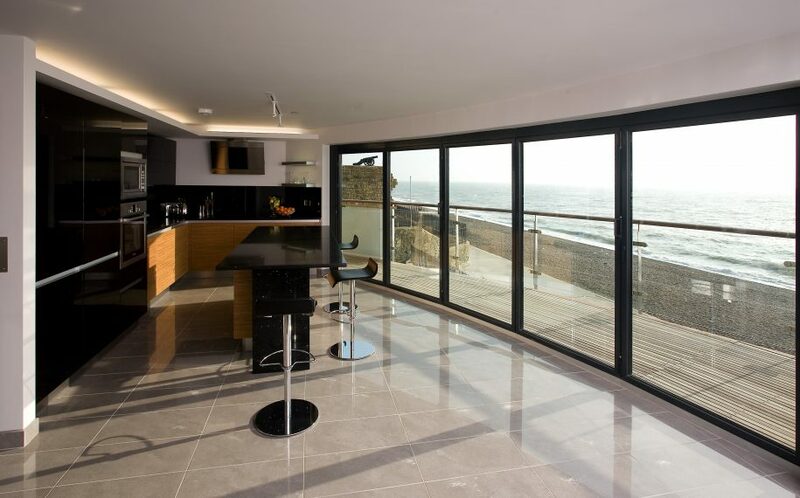 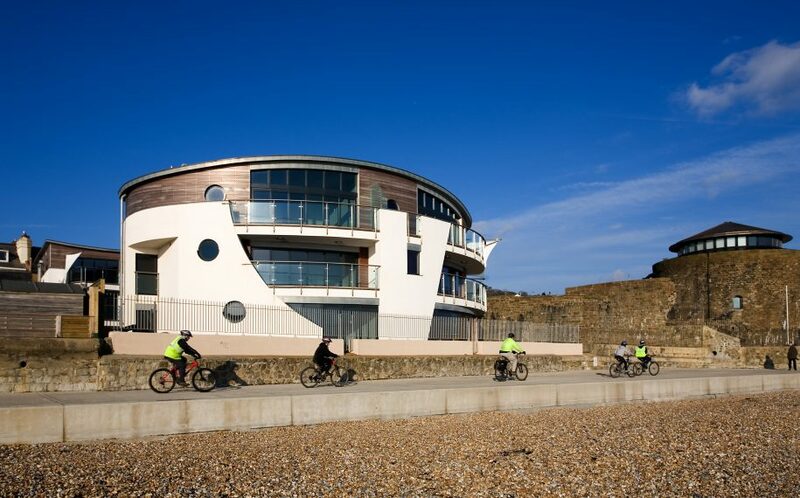 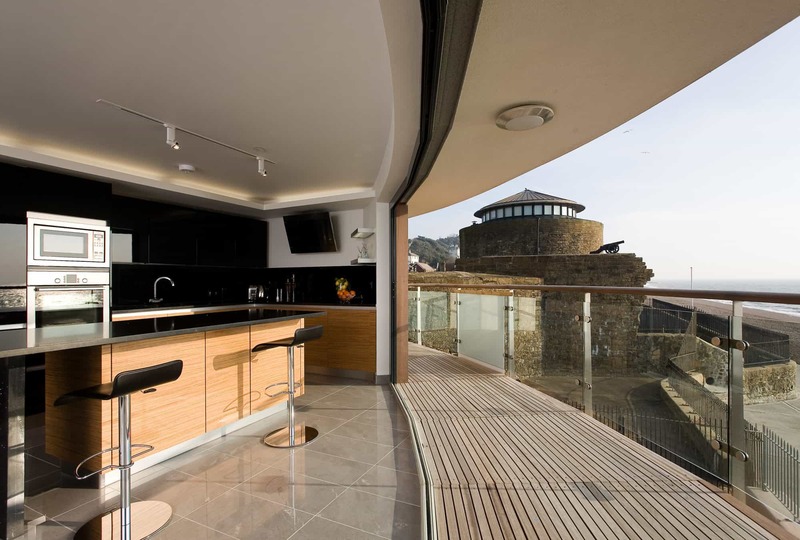 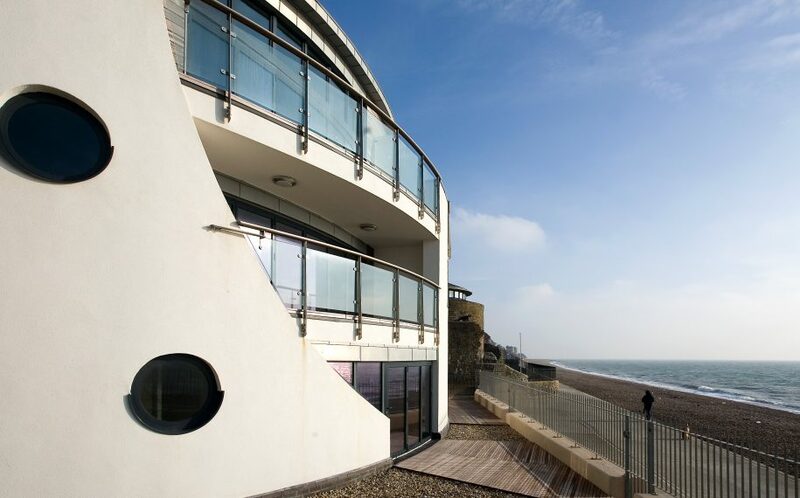 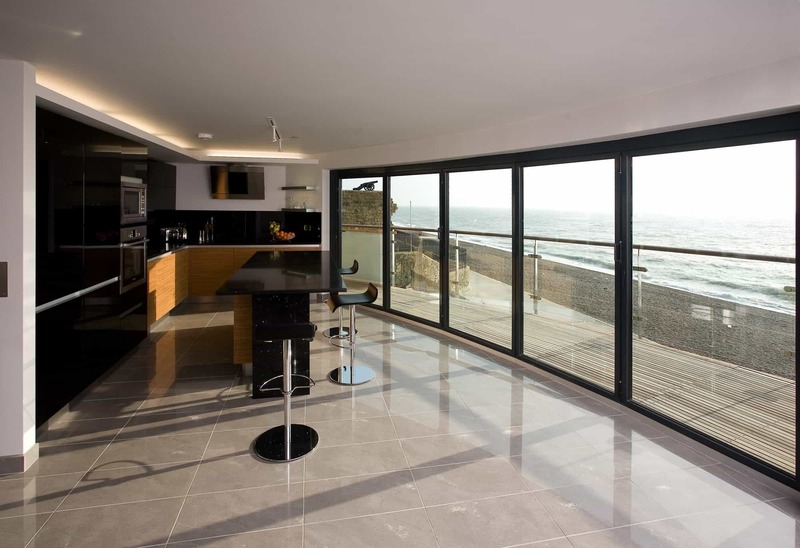 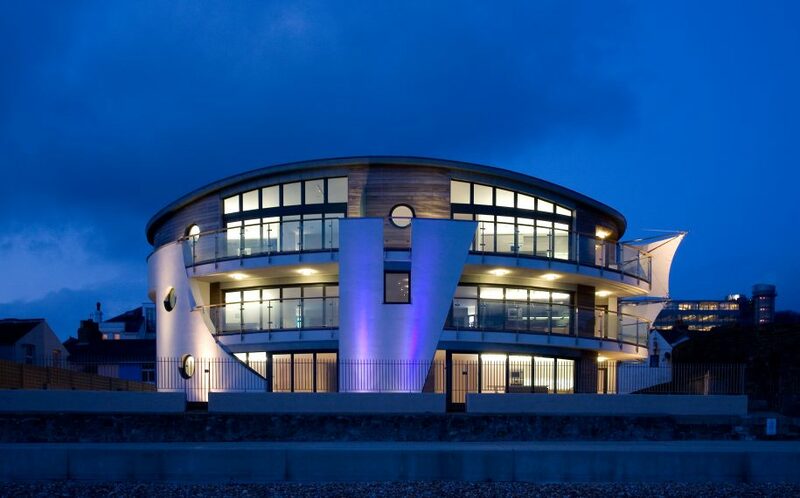 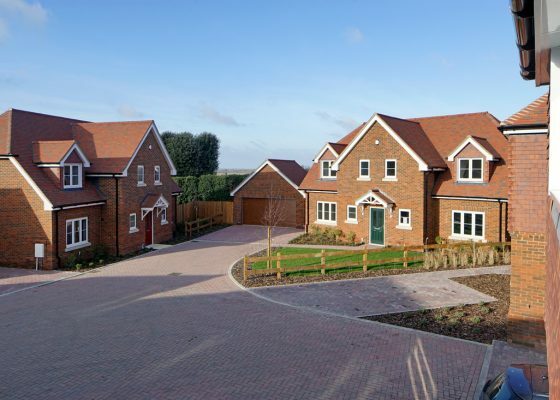 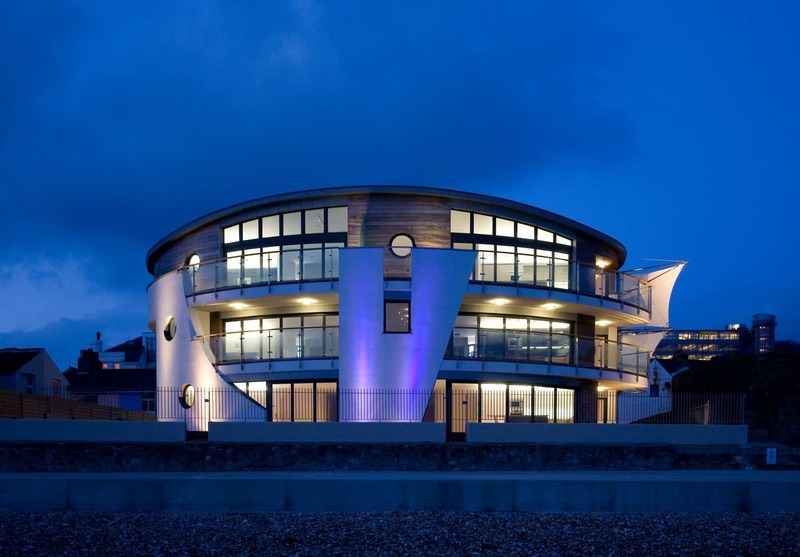 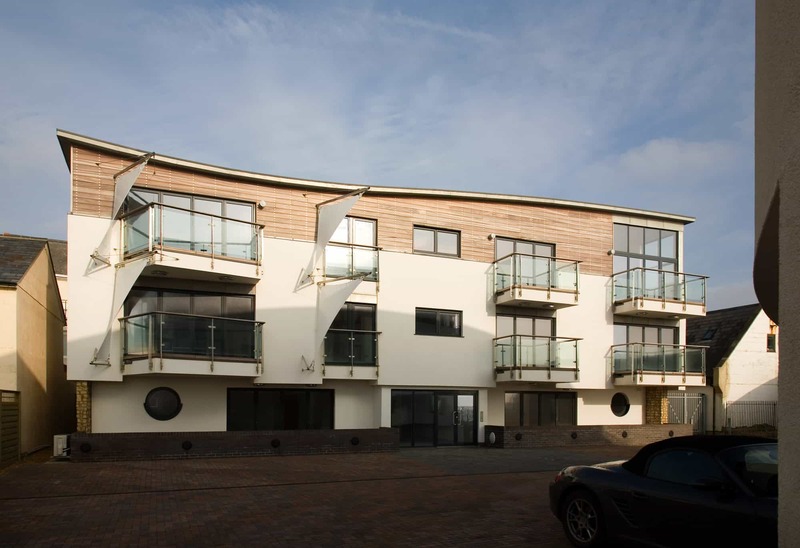 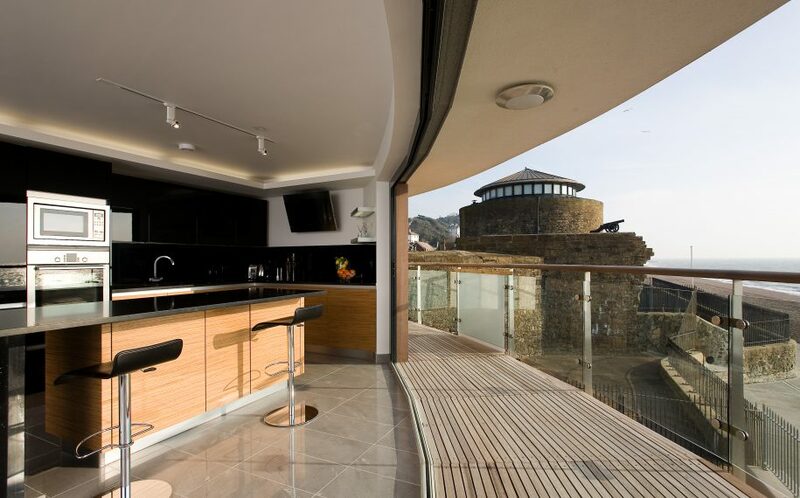 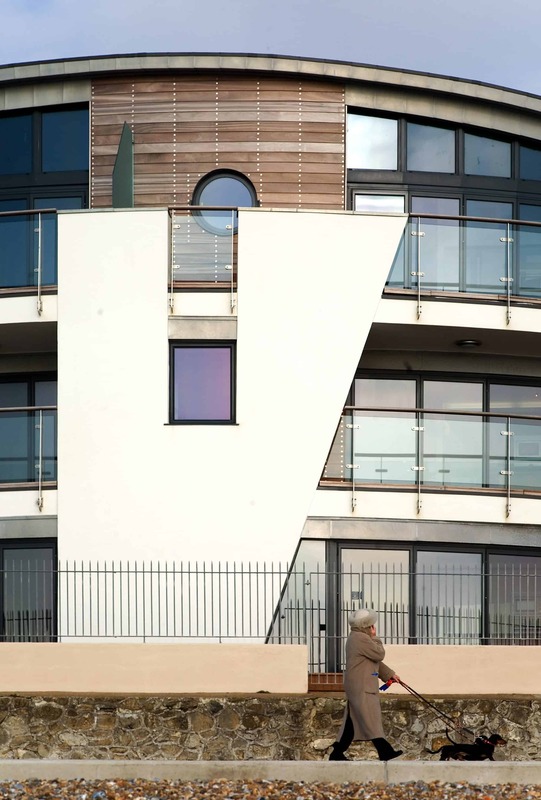 Located just 30m from Sandgate Castle, a Scheduled Ancient Monument, Beaufort Mansions is a development of luxury apartments consisting of two buildings; different in form to complement their immediate adjacencies, but visually linked through controlled palette of materials, chosen to withstand the harsh coastal environment. The oval plan of the seafront block echoes the rounded form of the adjacent castle, whilst the stone plinth of the rectangular block is reminiscent of a defensive seat wall. 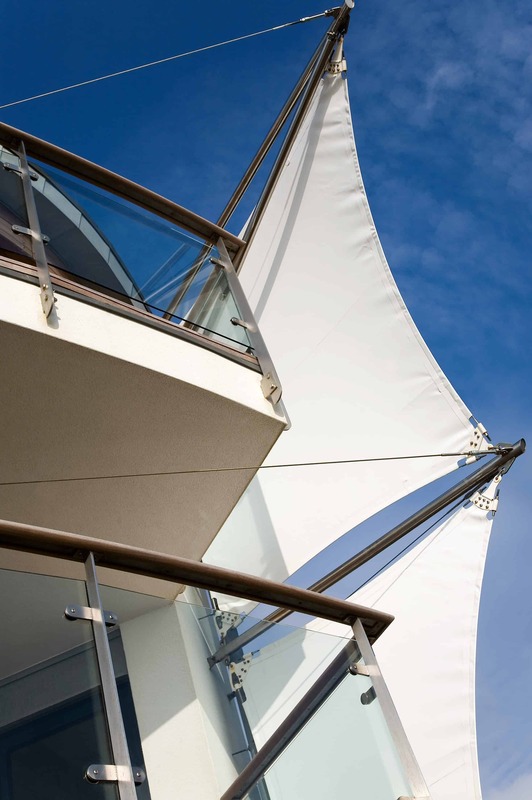 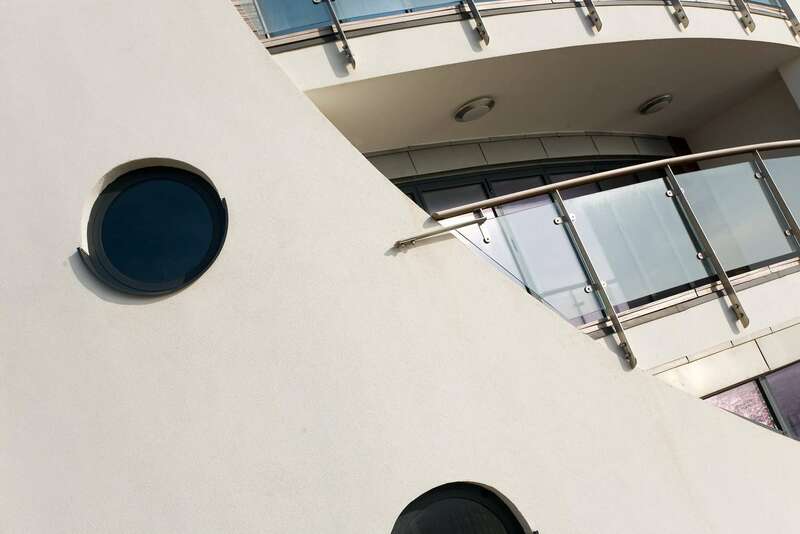 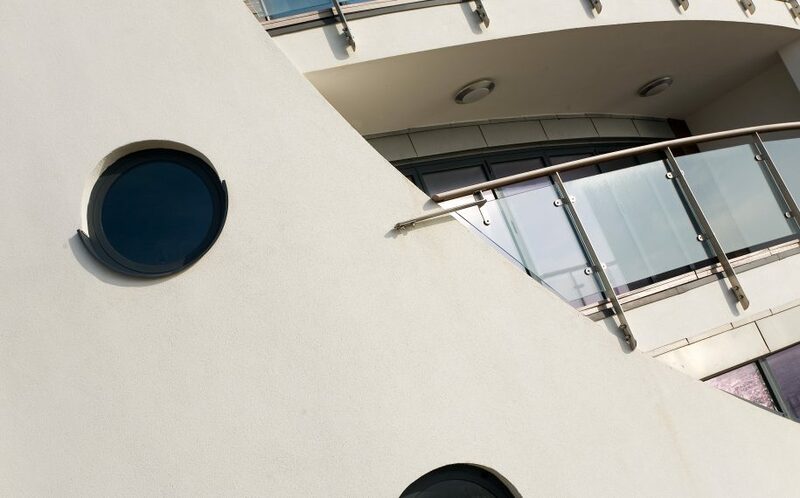 This nautical vocabulary is carried though the detailing on both forms, with privacy ‘sails’ on balconies, and circular ‘porthole’ windows, together with a carefully chosen colour palette.